A secret report by the US defense chiefs warned President Bush that Global Warming was such a great threat that it would destroy the United States and major European cities. They told the President that cities would sink beneath rising seas and Britain would be plunged into a “Siberian” climate by 2020. They warned that mega-droughts, famine, and widespread rioting will erupt across the world. The document warned that the planet would fall into anarchy and the nuclear threat would rise as countries then sought to defend themselves in the face of declining food, water, and energy supplies. Of course, the entire theory was that the ice caps melt and this the seas have to rise. NEVER did anyone ever do any historical investigation and they reduced everything to a single cause and effect. Evaporation or how ice ages were even created was NEVER a consideration. 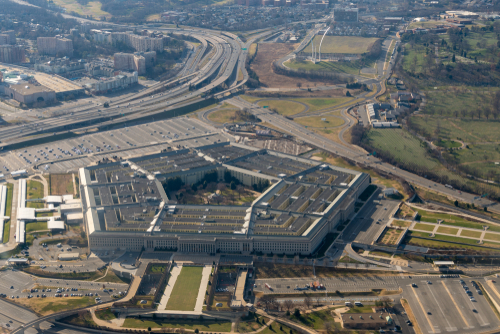 I remember as a child going to Washington with my father when he would report at the Pentagon for some reason I never knew. I do remember walking down the halls with my father when I was less than 10 years old. I do remember people running around all serious with stacks of papers. After this report was leaked and published back in 2004 by the Guardian, it makes you wonder about how these people conduct long-range forecasts. I do not think London, New York, Tokyo, Hong Kong, or Sydney will sink below the waves. It is just another example of how one-dimensional analysis is our doom. We are now only two-years from 2020 when Britain was supposed to be the new Siberia. Get going! Your behind schedule! The Washington Post tells everyone Climate Change is real because of Hurricane Florence – a Category 1 event. You really have to wonder why these newspapers put out such propaganda and make no effort to do any research. The list of North Carolina hurricanes where Florence hit prior to 1900 yields a list of 139 tropical cyclones/hurricanes. In fact, North Carolina was hit by 7 storms during 1893 ALONE!!!!! During 1893, BEFORE the combustion engine, that remains the record for the most hurricanes to hit North Carolina in a single season. On August 27th, 1893, a major hurricane which came to be known as the Sea Islands Hurricane that hit Georgia turned up through North Caroline killing they believe around 2,000 people. There was the category 3 Charleston Hurricane of 1893 and it came ashore near McClellanville, SC with maximum sustained winds near 120 mph. It really does not take much of an effort to report the truth just for once. The worst hurricane season on record still remains 1893 before Global Warming. The 1893 Atlantic hurricane season had 12 tropical storms of which 10 became hurricanes. Then of the 10 hurricanes, FIVE became major hurricanes. Two of those storms kill over 2,000 people each. 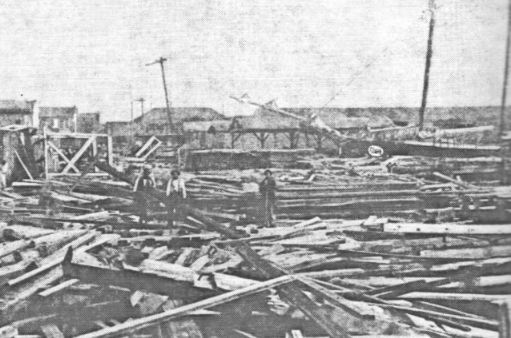 The 1893 season remains the most deadly storm season in American history. The second season on the list was the 1998 Atlantic hurricane season, where there were 4 Atlantic hurricanes that were active on the same day. The hurricane season is at its peak in August to October. Records before 1851 are really spotty. We do know that the Spanish Treasure Fleet of 11 ships were sunk in a hurricane during 1715, which is believed to be a category 4+. Running this data through our system revealed a 4.3-year cycle of intensity. In other words, where there were 4 or more major hurricanes in that season. Then the pattern which emerges shows that there are typically back to back years of intensity.This was the case for 1893-1894, 1915-1916, 1932-1933, 1995-1996, 2004-2005, 2010-2011, and 2016-2017. It does strangely forecast that worst back-to-back hurricane season will be 2031-2032. That lines up with the peak in the Economic Confidence Model. Hm? In fact, one of the major theories that may explain the disappearance of Roanoke Colony points to a major hurricane that completely destroyed the village. There is no evidence to prove the theory. In 1587, Raleigh dispatched a new group of 115 colonists to establish a colony on the Chesapeake Bay. Some argued that they were massacred by the Indians, but no bodies were ever found. It may be that a major storm approached and they took shelter with the Indians. Nobody has ever solved this mystery.